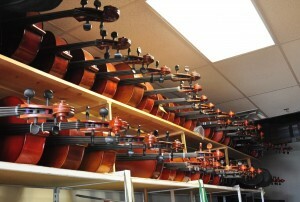 Every instrument in our shop is aged and dried for 2 years before we setup for rental, giving better sound quality. We carry some of the finest musical instruments in town for students and professionals. We offer expert bow re-hairing , bow re-cambering, repairs of cracks in stick, and broken tips. 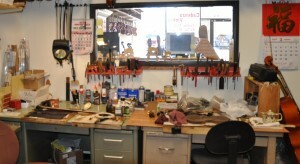 We also do open top instrument repair, new bridge installations, replane finger board, and new pegs. We provide anything you need to make your instrument sound as it should to help you play at your best. 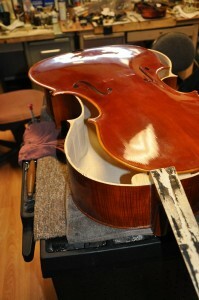 We offer careful and precise restoration of antique and new instruments. Restoration requires different skills and techniques to leave the violin as close to its original state as possible. This makes the violin more structurally sound and dependable. 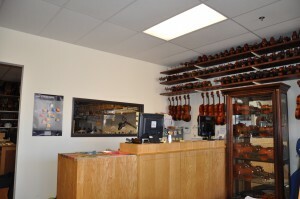 Visit our store to see a wide collection of Chinese and Italian stringed musical instruments for sale. These instruments are the perfect buy for beginners or professionals. Feel free to tell us the sound your looking for and we will do our best to help you find the perfect instrument.